Controversy, threats, fiery protests, mob violence...a time tested & sure shot formula for raking in the moolah at the box office. It is not a trivial matter that Bollywood has been using this ruthless formula of courting controversy for success from movies such as Fire (1998) to Padmavat (2018). The more controversy a movie generates, the more popular coverage the movie release gets. This simple formula seems set to be taken to an extreme level soon. A film on Hindu holocaust might get made with the potential to be the mother of all controversies that will seriously affect the law and order situation in the whole country; an invitation for trouble under preparation by an FTII alumnus Rajendra Prasad. Rajendra Prasad, a veteran FTII graduate is all set to make a major film to correct the popular & romanticized narrative of medieval Indian history especially of the Mughal era. Research and script-writing work is reportedly being done at breakneck speed. The said film is primarily focused on Akbar and his not so well known real side. The source also revealed that a major chunk of the story revolves around the "humiliating retreats and crushing losses" suffered by Akbar in the battlefield, especially the three inglorious defeats that Rani Durgavati inflicted upon him. The portrayal of the other-side of Akbar, who is trumpeted as a tolerant & benevolent "Great Mughal" in all Indian school texts stands to be unveiled. This is touted to be a hard-hitting curtain raiser on true Moghul history in India, a no-holds barred expose of various sexual perversions and depravities of Babur, Humayun, Akbar, Jahangir, Shahjehan and Aurangzeb to Bahadur Shah Zafar. Allaudin Khilji’s love for Malik Kufur is also said to feature in the film. The film which boasts of an unlimited budget, supposedly draws its storyline from the works of historians such as Sita Ram Goel, Veer Savarkar, Vincent Smith, P N Oak, Koenraad Elst, Francois Gautier and others. It is also said to include historically researched & authenticated facts detailed extensively about Mughal barbarity and Islamic savagery in India. If true, it will be a first that any Indian filmmaker has dared to show religious persecution of Hindus, massacres, demolitions and desecrations of temples, destruction of universities and schools. It would be interesting to see how Mr. Prasad would integrate such a vast and varied timeline into a film on the life of Akbar. 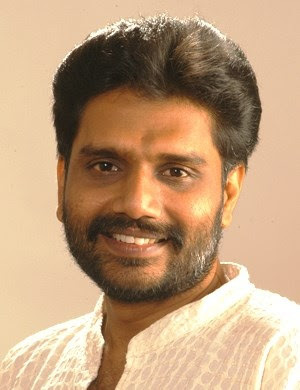 Mr. Prasad was earlier known as the producer and director of “Residue-Where the truth lies’, a controversial feature from 2005, which exposes Gandhi's turpitude and presents the moral side of Godse's act of assassinating Gandhi. This feature was banned repeatedly by the CBFC and is currently awaiting a decision in the Bombay High Court. His current project might end up heading to the courts as well, considering the highly sensitive & controversial nature of his subject. Let's hope the CBFC or the courts don't deprive the multi-talented filmmaker of his fundamental right to expression yet again.